Molly Kimball has teamed up with Chef Blaine Guillot of St. Charles Parish Hospital to create this healthful and delicious recipe just in time for Cinco de Mayo. For the salsa, toss all ingredients together until combined. Let sit in the refrigerator for 4 hours to develop flavors. For the shrimp, mix the olive oil, chili powder, salt, paprika, and shrimp in a bowl. Spray the grill with a non-flammable cooking spray. 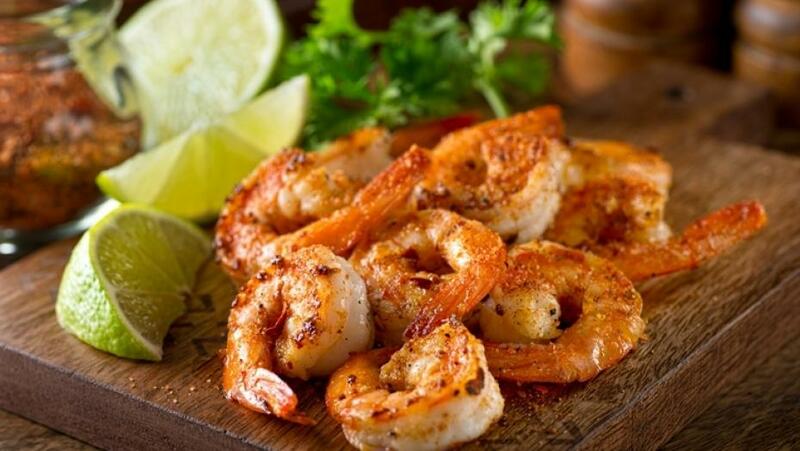 Place shrimp on grill and cook until opaque, about 2 minutes per side depending on the size. Grill the tortillas and placed shrimp and salsa on tortilla. Top with fresh lime juice and enjoy. Per serving: 320 calories, 10 grams fat, 2 grams saturated fat, 755 mg sodium, 35 grams carbohydrates, 13 grams fiber, 9 grams sugar, 28 grams protein.